We can help you get the most out of your sale by fixing it. From landscaping to painting, to flooring, to bathroom upgrades, to kitchen upgrades, to basement renovations, to anything a home needs to bring it to its full sales potential! Exterior: You know the saying “curb appeal”. You also know the saying “you can never make a second first impression”. This is why the exterior of your home is just as important as the interior when selling your home. Real estate agents will tell you that a bad curb appeal can cause potential buyers to pass by your home without even looking inside. With this in mind, Fix It 2 Sell It has a number of services that we offer for the exterior of your home, from the lawn, to your flower beds, to general landscaping, to the windows, trim, painting, gutter and the roof. 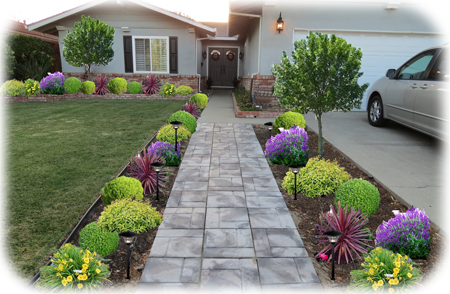 We help you make that great first impression that will have potential buyers flocking to your home. Painting: This is the biggest bang for your buck when fixing up your home for resale: it has the largest and most effective impact and the lowest cost. Consult with your real estate agent, tell us what colours you want, and our team of interior specialists will transform your home and have you getting generous offers in no time. Doors, trim and hardware: Doors and doorways frame the entrance to each room. Like a picture needs a good frame, so does each room require a good doorway. Door and floor trim is important, and a good trim will make a huge difference to a room, and is very cost-effective to do. If the doorknobs look old and worn, a quick upgrade to new door hardware is another way to bring out the best in your rooms. Fix It 2 Sell It can offer you many cost-effective options to spruce up your home. Your Second Husband Handyman Services: From the Fix It Group of Companies, we introduce Your Second Husband Handyman Services: Our handymen all come with decades of experience and have all the skills required to do any and all odd jobs around your home. So get your Honey-do list out, and give us a call! Flooring: Do your carpets look old and well-travelled on? Is the hardwood flooring scuffed and damaged? Flooring can reveal years of wear and tear, and truly have a negative impact on a room. Fix it 2 Sell It has many options to bring out the wow in your floors. Do you have a hardwood staircase that has lost its appeal? Maybe years or wear & tear are showing. Fix It 2 Sell It has the perfect solution: stick-on carpets. They look neat, come in many colours, and are very cost-effective! Kitchens: Kitchens often can be given a new life with minimal work and expenditure. Kitchen cupboards can get a new life with new doors or just a coat of paint. Counters can be replaced to give the kitchen a complete new look and give the impression that a whole new kitchen was installed. And if you think a new kitchen is in order, we can do that too. Bathrooms: Often a coat of paint is all that is required. Maybe new faucets and bath fixtures. As with the kitchen, the appearance of upgrades is all that is needed. If, however, you require a complete bathroom renovation, fix It 2 Sell It has skilled renovators on hand to transform your bathroom into an oasis for your home buyers. Cleaning Services: When selling your home, you MUST keep it looking and smelling clean! When people walk into your home, you must make them feel like they want to live there. Just imagine what it's like when you've walked into a messy or smelly home: your instant reaction is most-likely a negative one. Selling is all about negating negatives: leave only positive impressions for your buyers. 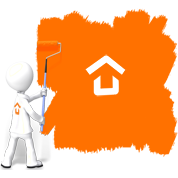 All Fix It 2 Sell It home cleaning specialists are bonded and insured professionals. Their results are second to none, and are the envy of their competitors. Click here for more information. Remember: buyers will be looking into every nook and cranny: we make sure it's clean when they look. Basement: Whether your basement is finished or not, it must be clean. Fix It 2 Sell It can do anything from painting your concrete floors to a complete renovation – no job is too big or too small. Energy Efficient Home: Is your furnace old? An old furnace will almost always result in a reduction of the offering price – and most often the amount is greater than what the actual cost is. 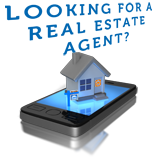 A typical installation costs around $4,500.00, yet buyers often ask for $6,000.00 or more in discounts! Beat them to the punch and have Fix It 2 Sell It install a new high efficiency furnace at a fair market price and retain the value in your home! Note: all new furnaces installed by Fix It 2 Sell It come with a no-hassle 10 years full parts & labour worry-free warranty that is fully transferable to the new homeowner: now that's something to talk about! 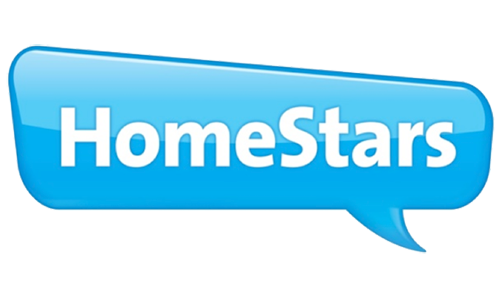 Professional Home Staging: Fix It 2 Sell It uses only APSD (Association of Property Scene Designers) certified stagers. With their proven track record and strict guidelines, you know that you're getting the best staging for your budget. Home staging helps sell homes faster and for more money: it's about presenting your best foot, and showing the full potential of a home to make buyers fall in love with it. 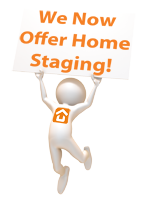 With national averages of 21 days for Days On Market, and locally that average is about 15 days, you know that having your home staged with our APSD certified stagers is the right thing to do. So what are you waiting for? Call us now at 613-898-1798 or go to our Contact Us page for more contact options.